A few weeks ago I was going through boxes in the storage room when I came across some counted cross stitch pictures that I made years ago. I finished this clown when I was 13 years old. I was sitting in the orange plaid chair at my Oma and Opa's house when I completed the last stitches - funny how I remember that. 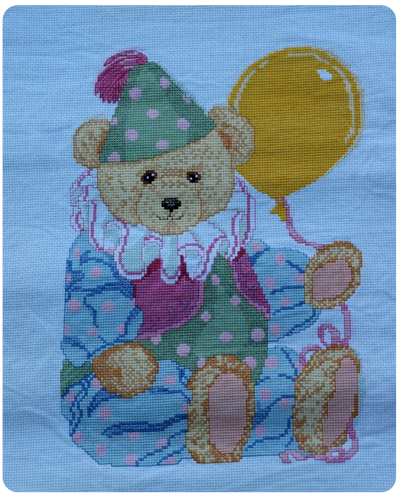 I worked on this bear for years, thinking that I would hang it in my baby's room. I never did. I can not remember exactly when I made this ice cream sundae...or why. I am not sure what to do with these. I can't see me hanging them in my house. And yet they are too sentimental to get rid of. Maybe I'll just put them back into storage - part of my craft archives. What crafts did you do when you were younger? 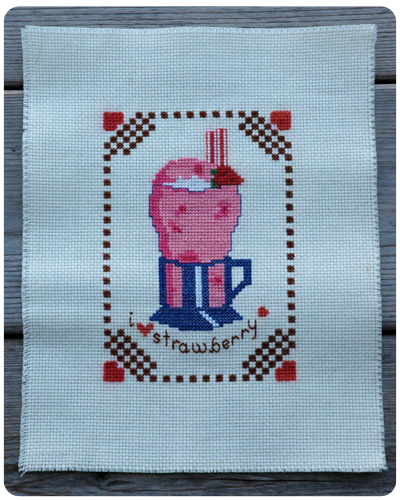 Are there any old crafts of yours that you are still holding onto for sentimental reasons? 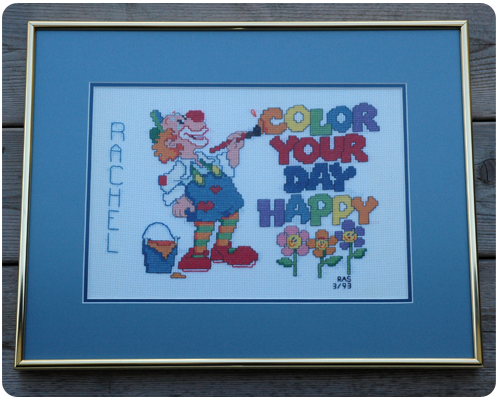 I loved doing cross stitch when I was younger. I did some bibs and started a blanket and they are still are in storage. I should do something with them. Glad I made you think of your old projects. Let me know if you get them out of storage and do something with them. You could make a shadow box with them. Something of a childhood memory. That would be neat. That is a great idea! Thanks Lanaya.